Since then I have been working on a series I call, �Post-Industrial Mingware,� fusing my reverence for classical Chinese pottery form with post-industrial surface decoration. I construct my forms with thrown elements and embellish the surface with glaze and carefully orchestrated commercial industrial decals. Sometimes a narrative emerges and sometimes the combination of patterns appears to be a sort of �crazy quilt.� The challenge is to create the appropriate envelope of surface around the gesture of form. Ultimately I surrender the work to an atmospheric soda vapor firing process. My active partnership with the fire allows for yet another transformation that is not totally within my control. This leap of faith is what continues to attract me to ceramic making as I look for that moment of unexpected joy and satisfaction in my work. It�s all a journey that has kept me making pottery for over 40 years. My search is always motivated by the next form, the next kiln, the next surface, the next pot that teaches me where to go from here. Jay Lacouture has been making pottery for over forty years. He has been a Professor of Art at Salve Regina University in Newport, RI for thirty-six years. He is a Fellow and former President of the National Council on Education for the Ceramic Arts (NCECA) and served on the Board of Directors for the Studio Potter Organization. 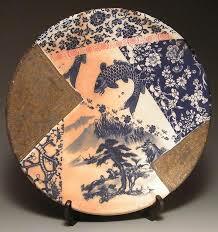 He has been an artist in residence in; Kamioka, Japan, Jingdezhen, China and at the Archie Bray Foundation in Helena, MT. He works at the Carolina Pottery in Carolina, RI where he fires his work in a two-chamber wood-soda kiln. His pottery has been exhibited and published in the US, Australia, China and Japan. He is a graduate of West Virginia University (MFA) and Rhode Island College (BA).